The objective was to ascertain the prevalence, causes and outcome of critically ill obstetric patients admitted to the intensive care unit (ICU). The design was a retrospective collection of data. The setting was a multidisciplinary ICU in a University hospital. All obstetric patients admitted to the ICU over a 12-year period from May 1992 to April 2004 were reviewed. The incidence of obstetric admissions to the ICU represented 0.22% of all deliveries during the study period. The majority (84.4%) of patients were admitted to the ICU postpartum. 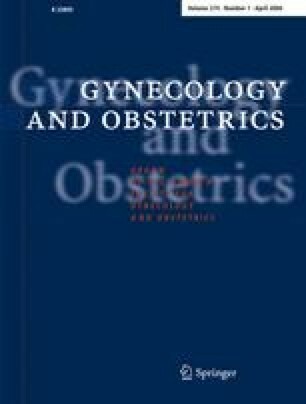 Obstetric haemorrhage (32.8%) and pregnancy-induced hypertension (17.2%) were the two main obstetrical reasons for admission. The remainder included medical disorders (37.5%) and other causes (6.2%). Associated major complications included adult respiratory distress syndrome (ARDS) and HELLP (haemolysis, elevated liver enzymes and low platelets) syndrome. The perinatal mortality rate was 20% and the maternal mortality rate 9.4%. A team approach consisting treatment by obstetricians, intensive care specialists and anaesthesiologists provided optimal care for the patients. Improved management strategies for obstetric haemorrhage and hypertension may significantly reduce maternal morbidity.